As if anything was needed to pump up sales of the much-anticipated release tomorrow of the latest in the line of the blockbuster video game franchise Modern Warfare, Best Buy is offering a free smartphone to anyone who buys the game from the electronics box store. Of course "free," means you'll have to cut a two-year deal with a wireless carrier before you can get your hands on the phone, but that's par for the course for that sort of thing. In addition, the offer is only for versions of the game for the Xbox 360 and PS3 platforms. Plans in the promotion are offered for three carriers: AT&T, Sprint, and Verizon. AT&T voice plans range from $39.99 to $119.99 monthly, data plans (what good is a smartphone without data, right?) from $15 to $45 a month and unlimited text messaging costs an additional $20. Sprint offers voice, data and text packages from $69.99 to $189.98 monthly. 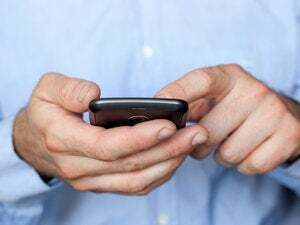 Verizon voice plans, some of which include texting, range from $39.99 to $149.98 monthly, with data plans ranging from $30 to $100 a month. Both 3G and 4G phones are included in the promotion. For AT&T, there's the HTC Inspire, in either black or red. It runs Android 2.2 and supports 4G speeds, as well as WiFi and Bluetooth, and has an 8-megapixel camera and a music player. The offering for Sprint is the HTC EVO 4G, in either black or white, with a 4.3-inch touchscreen, Android 2.2, 1GHz snapdragon processor, and two cameras—a low res one on the front and an 8-megapixel on the back. The promotion's offering for Verizon is the HTC Droid Incredible 2, in either black or white, with Android 2.2, four-inch display, 3G speed and two cameras—a 1.3-megapixel front-facing unit and 8-megapixel rear shooter. It also has mobile hotspot support. 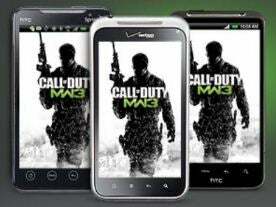 Best Buy's attempt to cash in on the popularity of the upcoming Call of Duty: Modern Warfare 3 to sell more smartphones is part of a long-term strategy to get consumers to connect the national retailer with buying a mobile phone. That strategy began five years ago when the company began building satellite mobile-only stores, as well as creating mini-stores focusing on cell phones within its box outlets. "We want to get customers to realize there is a better way, and that better way is Best Buy," Best Buy's head of mobile marketing Allister Jones told Cnet in an interview. Efforts to gain top-of-mind presence in the thinking of phone buyers have had mixed results, though, something Best Buy hopes to remedy with a good chunk of its $25 million holiday marketing blitz this year aimed at phone buyers. In stepping up its marketing efforts, Best Buy is trying to catch the wave of consumers moving from feature phones to smartphones. According to a report released today by comScore , smartphones have penetrated 37.4 percent of the market. In September alone, 650,000 consumers switched from feature phones to smartphones every week, it reported, and by September of next year, market penetration should be 50 percent.